Do you remember rewinding and tightening and screwing with the tape in your cassette tapes? 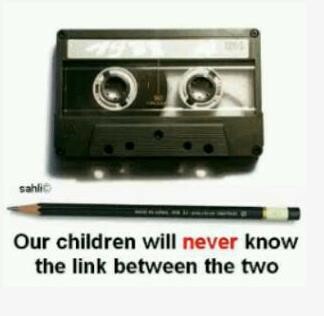 How true this is – our kids now adays will have NO idea what a cassette tape is. But I guess I didn’t know what an 8 track was. Will my grand kids not know what a CD or DVD is? Quite possibly! The Pinterest Daily Re-Pin is a daily series of something fabulous found on Pinterest. ?Follow me– leave your Pinterest link in the comments and I’ll follow you back. ?Need a Pinterest Invite? ?Let me know! Happy Pinning! Madsen Bike – I WANT ONE!